In 1943, the crew of a B-17 based in UK prepares for its 25th and last bombing mission over Germany before returning home to the USA. Joe’s Top 25 War movies of all time!! 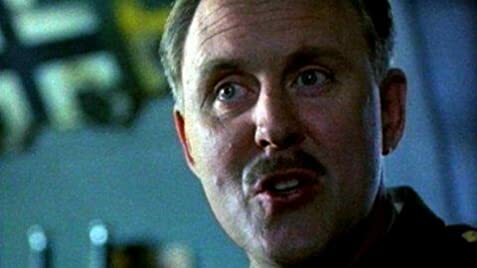 Dennis Dearborn: [Gene nervously fires at German fighters while they are still out of range] I said hold your fire! Sgt. Jack Bocci: [Mocking] Hahaha, that was Genie the Weenie. Eugene McVey: Shut up, Jackass! Q: What are the differences between the British PG Version and the Uncensored Version? The movie actually was a fairly accurate account of the Belle's experiences except that the movie had everything that actually happened to the plane and crew on its 25 flights happen on the last flight. The one thing missing was that a Belle waist gunner ended up with frost bite on his hands and was replaced. The characters in the movie were fictional. I've seen some comments by people that it was unrealistic for a 21-year old (Matthew Modine's Dennis Dearborn character) to be the pilot. The real Belle pilot, Robert K. Morgan, was only 24 when they began flying missions in late 1942. Some of the movie's dialogue actually was said by crew during the Belle's missions. 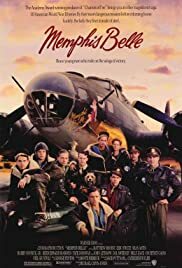 The government produced a 1944 documentary on the Memphis Belle directed by William Wyler and if you watch it you will recognize some of the scenes and dialogue from this movie.